It's always difficult to traverse the cinema landscape as a critic while keeping your expectations in check. It's best to try to keep all preconceived notions at the door when considering the quality of a work of art, but the brain is a subjective organ, and memory is tough to be denied. The film industry is an industry of history, where recognizable actors, directors and other crew bring the baggage of their previous projects (for good or ill) along with them. Even if you avoid trailers and production stories, the knowledge that director X and actor Y are putting out a new project is going to lead to some amount of belief whether a movie is likely to be good or bad. Because of this, there's always the chance that something you didn't consider sneaks up on you in ways you could never imagine, and there's times that a sure thing somehow stumbles and falls on its face. Presented below are five films that were pleasant surprises, and five films that failed to live up to what they could have been. I didn’t count myself as much of a fan of either Ain't Them Bodies Saints or Pete's Dragon, David Lowery’s two previous films, but A Ghost Story totally bowled me over out of the blue. A deeply sentimental and meditative film about the weight of grief and the attachments we have to the homes we build, A Ghost Story overcomes its somewhat pretentious trappings (long, Malickian takes with whispered narrative, shooting in Academy Ratio with rounded corners) and silly premise of watching Casey Affleck spend nearly the entire film with a sheet over his head and spins a metaphysical tale that transcends space and time. There are moments in A Ghost Story that rank as some of the most emotional of the year, whether it’s watching Rooney Mara eat an entire pie while devastated over the death of her husband or a neighboring ghost ceasing to exist when it realizes its loved ones aren’t coming back. A Ghost Story bucks all sorts of conventions in becoming one of the best films of the year, but for me, the biggest was finding a David Lowery movie I actually liked. 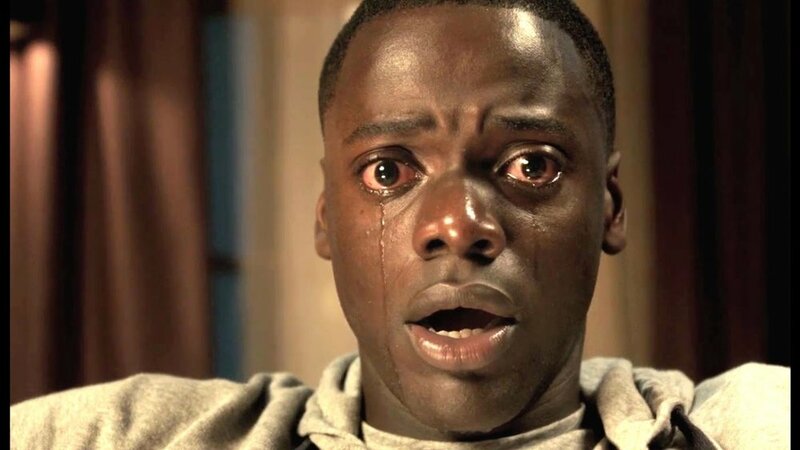 I remember when I first saw a trailer for Get Out in 2016. It seemed like a vaguely interesting concept with a rather impressive cast, but seeing Jordan Peele’s name as director on the title card certainly took me aback. Peele’s obviously best known for his work on MadTV and Key & Peele, but that shouldn’t have prepared anyone for Get Out. There’s plenty of laughs to be found in Peele’s directorial debut, and those who have watched Key & Peele in the past shouldn’t be too surprised by the heaping helping of social commentary, but Peele’s utter class as a director, his mastery of tone and his eye for detail would have been a lot tougher to see coming. And this tiny little movie made for barely $5 million and released in February is still one of the most talked about (and best) films of 2017. It’s a minor miracle, and it’s a signal that Peele could be a force behind the camera for years to come. As Christopher Nolan’s career has evolved, the run times of his films have grown alongside his prestige (pun surely intended). That’s why it’s so gratifying that Dunkirk weighs in at a svelte 1 hour 46 minutes, his shortest feature since his debut Following. There could have been plenty of ways for Dunkirk to overstay its welcome, and that wouldn’t be the first time Nolan would be found guilty of doing so, but he keeps his script tight and his camera sharply focused on the action and the experience of being stranded on those unforgiving shores. The structure of the film is novel in a way Nolan’s films so often are, but the difference in how he handles the action is mesmerizing. Throw in some of the best cinematography of the year from Hoyte Van Hoytema and a punishing score from Hans Zimmer that makes the action even more visceral (if such a thing were even possible), and the result is Nolan’s most vital film in years, and a reminder of what he can do when he puts his mind to things. The concept of making a sequel to a beloved movie 35 years after its release, based on a book that never had a sequel in the first place is daunting to say the least. Sure, director Denis Villeneuve is well-loved in the industry, and his collaborations with legendary cinematographer Roger Deakins have created some truly indelible images, but Blade Runner? In 2017? How could it possibly work? But it does surprisingly well in practice. Ryan Gosling is a strong choice to take up the mantle of Harrison Ford’s Rick Deckard, and the story told by original scribe Hampton Fancher and Michael Green takes the Blade Runner universe in surprisingly interesting directions. It’s not a perfect film, and despite my glowing review upon its release, I honestly haven’t given it all that much thought since, but the fact that it’s even good at all should be chalked up as a minor miracle. This seems especially notable in light of Disney taking over Fox’s film properties. A Cure for Wellness is the sort of movie we never get anymore (and probably never will get again), an ambitious as hell big budget niche project, a choice to throw money at an auteur like Gore Verbinski and let him make what he wants. The result is a batshit insane gothic horror epic starring Dane DeHaan (not exactly box office gold) that’s allowed to be as crazy as it wants to be. A Cure for Wellness is not a perfect movie by any stretch, but it’s gorgeous and it’s completely committed to its sense of style and tone in a way that feels like it came out of a time capsule from a bygone era. The places this thing goes in its third act are nuts, and it single-handedly give a legion of eel CGI artists more than a few rent checks to fall back on. This sort of filmmaking has been dying on the vine for some time, so for Fox to put their faith in a project like this and see it through to its fruition without meddling made mainstream movie making exciting again (a similar bit of praise can be put at the feet of Paramount for having the courage to give a movie like mother! a wide release). Of course, it bombed and could have been one of the reasons Fox wanted to sell off their assets, but what is art without a little risk? To say the new movie from Todd Haynes would be met with quite a bit of anticipation from someone who considered Carol the best movie of 2015 should make a lot of sense. And there are aspects of Wonderstruck, his adaptation of a Brian Selznick book that follows two children decades apart from each other as they explore the same museum, is a solid enough concept. And there’s honestly quite a bit of good here, especially in the scenes that take place in the 1920s, shot and scored in black and white as a silent film from the age. Those sequences and their star, Millicent Simmonds, are so engrossing that it makes the second half of the story, set in the 70s revolving around Oakes Fegley, so deflating. Selznick simply isn’t that good of a screenwriter, constantly having his characters write something down, show it to the screen and then say it out loud in a maddening dollop of redundancy, and Haynes often gives those sequences a bizarre 70’s exploitation feel with afros aplenty and a glaringly terrible funk soundtrack that makes you pine for the silent era all the more. Wonderstruck could have been something special, but the result is far too inconsistent to merit any real consideration of quality. I think something very interesting could have been made out of The Disaster Artist, a true story retelling of the creation of quite possibly the most famous bad movie in modern cinema history, The Room, but James Franco’s biopic (of a sort) seems far too pleased with itself to get to the core of what it’s trying to say. The narrative attempts to tell a bizarre funhouse mirror version of a rags to riches story of a crazy director with no talent who becomes a celebrity in spite of himself by making a terrible movie badly, but Franco and his cadre of famous friends (his brother Dave, Alison Brie, Zac Efrton, Seth Rogen, and so on and so on) seem far too tickled making shot for shot remakes of scenes from The Room to latch onto anything beyond an extended SNL skit. The opening (a series of testimonials from famous celebrities) and the closing (a split-screen of original scenes from The Room with The Disaster Artist’s versions of the same scenes) gives up the ghost for what this film really is, an excuse for a bunch of famous people to parody a film they love to hate, with only the most surface trappings of the story they wanted to tell to be found. Before The Circle, James Ponsoldt had a pretty spotless resume. Smashed and The Spectacular Now were strong efforts that made him a name in the industry, and The End of the Tour showed signs that he could mold his talents to a wider audience with bigger names in his cast. That trajectory seemed perfect for The Circle, a film with his biggest cast yet (Emma Watson, Tom Hanks, Bill Paxton, Karen Gillan, John Boyega, etc) based on a well-received novel with plenty of relevance to our current societal fears surrounding uber-powerful tech companies with charismatic CEOs, but the final product is a complete disaster. Far too on the nose with its storytelling, the script (from Ponsoldt and Dave Eggers, the writer of the original novel) flounders to find its footing amongst a series of increasingly silly slippery slope conspiracy arguments. Plot holes abound, with all sorts of coincidences forcing things along in lieu of character action, and while that set-up could actually work if The Circle turned into a The Game-like conspiracy thriller, it just limps to an unsatisfying end that doesn’t wrap up enough dangling threads. This was also the film (along with another disaster, the live-action Beauty and the Beast remake) that has made me begin to question Emma Watson’s acting abilities outside of Hogwarts, as her officious and exacting mannerisms have not held up to the scrutiny of time. All told, this is a huge misstep for a filmmaker that held a lot of promise in my eyes. I might be guilty of expectations here, having loved Ana Lily Amirpour’s debut, A Girl Walks Home Alone at Night as much as I did, but I didn’t find much to enjoy in her second offering, The Bad Batch. The concept is interesting enough, focused on a post-apocalyptic future desert society full of cannibalistic body builders and aloof prophets, and a cast including the likes of Jason Momoa, Keanu Reeves and Jim Carrey seemed like it would be a fascinating movie at worst and something really special at best. In practice, it barely registers as much of anything at all really. The world they established doesn’t have the oomph you would expect from both the premise and Amirpour’s stark, effective world-building in A Girl Walks Home Alone at Night, and the second attempt at the sort of genre mashup she played with in her first film has diminishing returns. I still have a lot of faith in Amirpour as a director, but after The Bad Batch, my excitement for her next project will likely be a bit more muted. I’m pretty much alone on this one, but I found War for the Planet of the Apes to be a significant step down in quality from the first two entrants in the series. Rise of the Planet of the Apes was one of the surprises of 2011, and Dawn of the Planet of the Apes was a more than capable continuation of the story. Everything was set up for a satisfying end to the Caesar saga, but the trilogy curse has reared its ugly head again. There’s plenty to like in War for the Planet of the Apes, but its over-reliance on references to the original films makes it feel beholden to the wrong sorts of films. The performances and the CGI is still good, but this one felt hollow in a way its predecessors did not. We have to see where things go wrong to get the best context of when things go right, so tomorrow, before we see the best of the year, we have to reckon with the worst. Join us for the ten worst films of 2017.